The AT68R-BR, the 68 gallon rectangular below rail tank is designed to work with a hard or soft bed cover. The highest portion of the tank will be below the bed rails. The AT68R-BR will fit a long or short bed diesel truck. (Note: Please notify us if you have a short bed Dodge, as this tank must be notched to fit correctly). The AT68R-BR is the most popular aluminum auxiliary diesel tank for the Under Bed Cover Tank Line. The fuel fill neck is located in the rear driver's side corner for easier filling will an open bed cover. NOTE: Add 2.5" to the height of the tank for the fill neck/cap and sending unit cover. Add 1.5" (front & rear) to the width of the tank for the hold down tabs. We recommend that all ATTA auxiliary tanks come with either a "Freedom Fill" or "Push 'N' Fuel" auxiliary fuel system installation kit. Both systems use an electric pump to refill your factory fuel tank. ATTA tanks are NOT gravity feed tanks! Details on each system are below. Please note, if you do not add an auxiliary fuel system, there WILL be a hole in the tank where the sending unit would typically be installed at! The sending unit hole is 3 5/8 inches in diameter and is not threaded. The sending unit itself uses self-tapping screws that are pre-drilled. Freedom Fill System: The Freedom Fill Auxiliary System is the most popular fuel system that ATTA carries. It is a complete installation kit and comes with everything you are going to need to install an auxiliary fuel tank to your truck. The Freedom Fill Auxiliary System is specifically designed to be used in conjunction with an auxiliary tank manufactured by ATTA. It is designed for current year model Dodge, Ford and GM/Chevrolet diesel trucks. The Freedom Fill Auxiliary System is a computerized fuel system. When the factory tank reaches approximately 1/2 a tank, an auxiliary computer module will activate the fuel pump and begin transferring fuel from the auxiliary tank and will refill the factory tank to approximately 3/4 of a tank. The system is AUTOMATIC for peace of mind and ease of use. The pump will not turn on when the auxiliary tank is empty. Push 'N' Fuel System: The Push 'N' Fuel Auxiliary System is our economic fuel system. Designed specifically for use in an auxiliary tank manufactured by ATTA. For use in only Dodge, Ford and GM/Chevrolet diesel trucks. The Push 'N' Fuel Auxiliary System uses a momentary rocker switch mounted to the dash of your truck. The operator must push and hold the switch to activate the heavy duty rotary vain pump to begin the transfer of fuel from the auxiliary tank to the factory tank. When the switch is released, the pump will shut off. Need a custom ATTA tank? No problem! We can custom build Auxiliary Tanks, Transfer Tanks, Refueling Tanks, Generator Tanks, Hydraulic Tanks, Boat Tanks and Gray/Black Storage Tanks. We can build custom toolboxes (tank & toolbox combos), battery boxes/trays, LP Trays, custom aluminum covers, and more. We will require a rough drawing of the tank to give you a quote. Warranty valid for any fuel tank, fuel system, headache racks purchased from Aluminum Tank & Tank Accessories, Inc (ATTA) on or after above effective date. Warranty is only valid with the return of warranty card to Aluminum Tank & Tank Accessories, Inc. within 30 days from the date of purchase by the original purchaser. The 7 year/Unlimited Mile warranty will not be valid without the return of the warranty card. The limited warranty is valid only for the vehicle listed on the warranty card. Valid only in the United States and Canada. Aluminum Tank & Tank Accessories Inc. (ATTA, Inc.) auxiliary diesel fuel tanks are covered by a 7 year/ Unlimited mile limited liability warranty, against defects in material and workmanship. Aluminum Tank & Tank Accessories, Inc. fuel system components are covered by a 7 year/ Unlimited mile limited warranty, except for the inline fuel pump and sending unit resistor. The inline fuel pump and sending unit resistor are covered by a 1 year limited warranty per manufacture requirements. 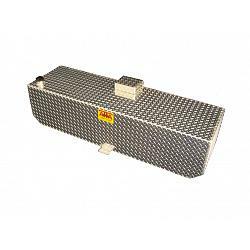 ATTA generator tanks and other manufactured products are covered by a 1 year limited warranty. Aluminum Tank & Tank Accessories Inc. (ATTA, Inc.) aluminum contour headache racks are covered by a 7 year/Unlimited mile limited liability warranty, against defects in material and workmanship. The 6" oval LED lights are covered by a 1 year manufacture warranty. The 18" LED spot lights and the 52" LED Light bar, is covered by a 6 month manufacture warranty. Aluminum headache racks are not intended as a safety device. Powdercoat, Spray-on Bedliner, and Vehicle Paint finish are covered by a 1 year limited warranty against defects. Warranty claims will be valid only if completed warranty card has been received prior to claim by Aluminum Tank & Tank Accessories, Inc. Warranty will not be honored if the product or system is altered in any way or if the ATTA manufacturing tag is removed or defaced. Warranty does not cover consequential damages including, but not limited to: loss of use of the warranted product, loss of time, transportation expenses, towing, expenses for travel, lodging, telephone, or fuel charges, loss of damage to personal property or loss of revenue. 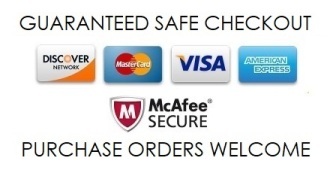 Warranty cards must be received within 30 days of purchase by end user. It is the end user's responsibility to fill out and send in warranty cards to Aluminum Tank & Tank Accessories, Inc. If you have any problems with the fuel tank or fuel system, contact your Dealer where it was originally purchased. The Dealer will contact ATTA with any troubleshooting assistance. If a component needs to be replaced, ATTA will give a RGA (Return Goods Authorization) number, authorization and instructions for replacement of the component. ATTA will require Model and Serial number, proof of purchase, VIN#, and date of installation. When replacement item is shipped, a charge will be made for the part unless the part has been received by ATTA. Credit will be considered upon return of faulty item. All defective components must be returned within 30 days of warranty claim and be marked by the RGA number. Aluminum Tank & Tank Accessories, Inc. fuel tanks and fuel systems conform to all rules pertaining to non-side mounted fuel tanks and meets all FHWA non-side mounted fuel tanks requirements as stated in sections 393.67.